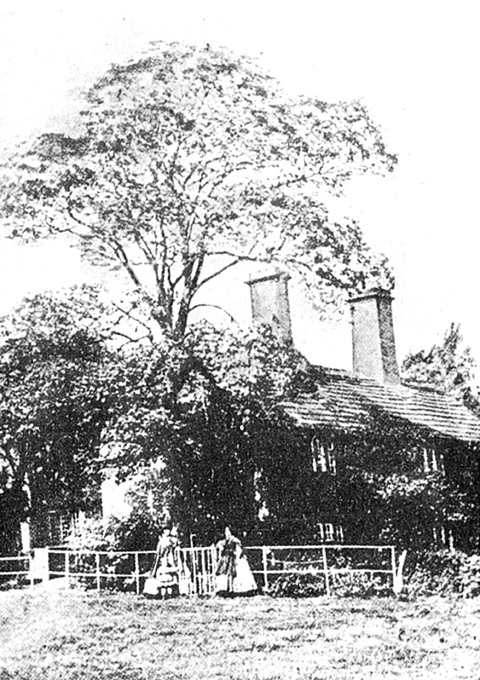 This very early photograph shows Mrs John Shearran Nowell and her son Charles (left) with Miss Louisa Ann Easther; in the background is the Schoolhouse and the Schoolroom. Mrs Nowell was the daughter-in-law of one of the School's brightest early pupils: John Nowell (1794-1869). Always interested in science, he wrote numerous scientific papers and formed friendships with such eminent scientists of the day as John Dalton, Humphrey Davy and Michael Faraday. It was he, as a Governor of the School in 1851, that played a leading role in the setting up of the 'Chemical Society of King James' which led in due course to the building of 'The Cloisters' in 1868. Miss Easther was the sole sister of the Headmaster of the day, Rev Alfred Easther. She supervised the domestic side of the School for some 24 years and Rev Easther never really recovered from the blow of her early death in 1872 at the age of 50.